Manufacturer & Supplier of a wide range of products which include Floor Mats such as Anti Fatigue Floor Mats, Commercial Floor Mats, Gym Floor Mats, Electric Floor Mats and Antistatic Floor Mats. 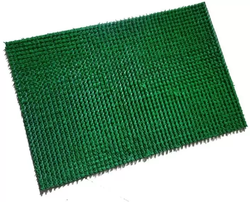 We are the stalwarts in manufacturing, supplying, wholesaling, trading, retailing and exporting high quality Anti Fatigue Floor Mat. The range we offer provides stress relief to toes, ankles and thighs. Also, it relieves the fatigue caused due to continuous pressure resulting from working for a long duration. The surface of these mats act as shock absorbers and prevent material breakages. 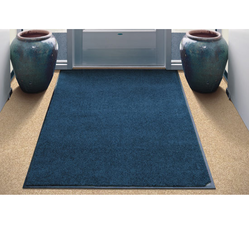 We are one of the accredited manufacturers, suppliers, wholesalers, traders, retailers and exporters of Commercial Floor Mats. All these products are designed using high grade material that is sourced from authentic vendors of the market. Our offered products can withstand constant and rough use. Also, these products keep the dust and grime away. These products are used in office, shops and other commercial establishments. We have in stock for our international customers a wide range of Gym Floor Mats. 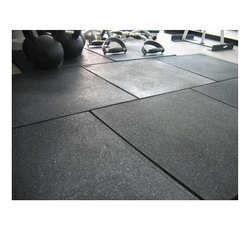 Manufactured using optimum-grade material, our range of mats can withstand wear & tear due to rough use resulting from weight lifting and aerobic exercises. These products possess outstanding features like cushion surface for additional comfort during and after workouts. With thorough industry knowledge, we are engaged in manufacturing, supplying, wholesaling, trading, retailing and exporting Electric Floor Mats. The range made available by us comes with advanced features in various dimensions. All these mats are used to cover areas around electric panels so as to offer protection from electrical shocks. Our firm delivers precisely tested and a high-grade assortment of Anti Static Floor Mats. It is manufactured using top quality materials and latest technology and tested under various quality parameters. • Dimensions : 2ft X 4ft, with Top Layer 2mm & Bottom layer 1mm.